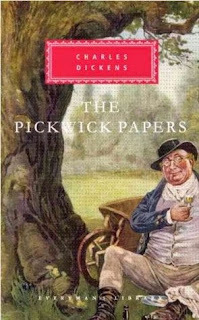 It’s hardly believable but O’s 2 year read-along of the Pickwick Papers has finally come to a close and I have her to thank for finally being able to finish this 800-page marvel. We read it in installments mirroring its original release which was an enlightening experience in itself. Looking back, I enjoyed reading only 2 to 3 chapters at a time, but the space between them, for me, was too long. It’s not that I necessarily forgot what had happened, but I found that when I picked it up again, I was somewhat disengaged with the characters. It was almost like starting a book over and over again and never really getting traction. If I was to do it over, I’d read a chapter per week instead of three at once and that way hopefully remain more present in the story. And the book itself ….. ? 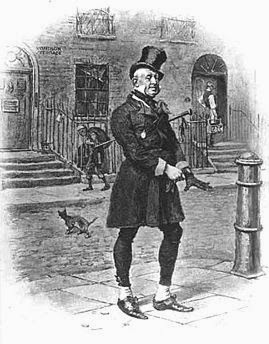 I quite enjoyed Mr. Pickwick and his marvellous, and at times unbelievable, adventures. At the beginning of the book, Mr. Pickwick, founder and president of the Pickwick Club, decides that he and fellow members, Nathaniel Winkle, Augustus Snodgrass, and Tracy Tupman, will leave London and travel the countryside to discover the wonderful qualities of life, each reporting to the others what they find. Their adventures lead them to saving ladies in distress, getting embroiled in circumstances they only want to avoid, courting offers of marriage, unwanted offers of marriage, interaction with criminals, jail and even love itself. 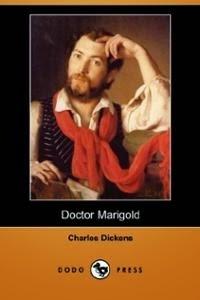 Dickens imbues this novel with his own brand of humour by having an old confirmed bachelor find himself in all sorts of uncomfortable circumstances. From finding himself unexpectedly sleeping in a lady’s bed, to being sued for breach of promise of marriage, poor Pickwick finds his dignified sensibilities tried by unexpected challenges yet he always manages to respond in a measured and honourable manner that increased our respect for this lovable character. 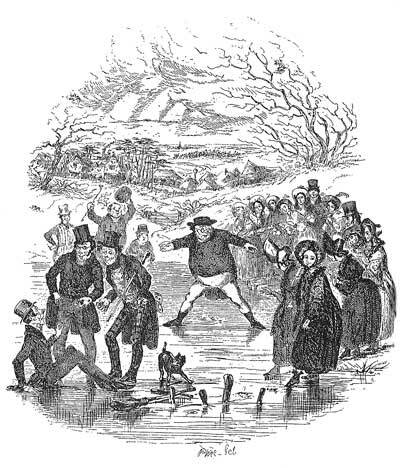 In Chapter XVI, Pickwick attempts to catch a swindler, Jingle, who is slipperier than an eel. Jingle plans to run away with an heires and by hiding in the bushes outside the girls’ boarding school, Pickwick attempts to subvert the scheme and expose the criminal. But through various misadventures and bumbles, he manages to find himself locked in a cupboard by the headmistress and the ladies of the establishment. 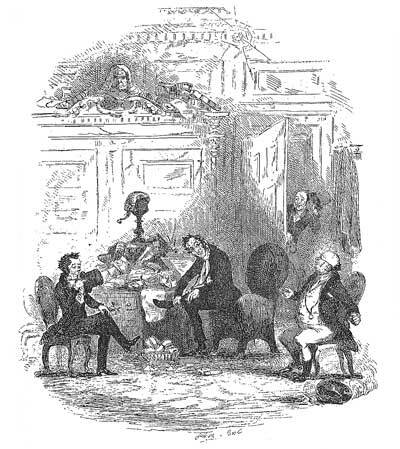 Rescued by Sam Weller, his valet, and his friend, Mr. Wardle, Pickwick rains imprecations upon the head of the absent Jingle. Even more amusing, was the incident of the mistaken beds. Late at night at an inn, Pickwick returns downstairs to retrieve his watch and upon returning, enters the wrong room! He is just settled into bed when a lady enters and begins her own toilette. 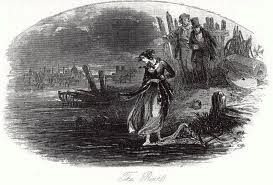 Horrified, Pickwick reveals his presence and attempts to assure her of his mistake and innocence, but the woman is frightened senseless, and Pickwick makes a quick exit. Not wanting another repeat of the disturbing and undignified experience, Pickwick plans to sleep in the hall, but is once again rescued by Sam. The novel has so many amusing anecdotes, that is has to be read to enjoy them all. And I finally managed it! 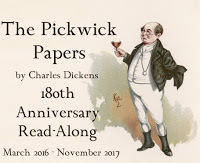 At the time of the writing of this first novel, Dickens was working as a roving journalist and a reporter of Parlimentary news. 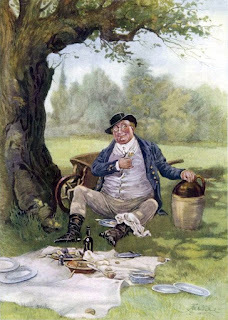 After his successful Sketches by Boz, Dickens was called in to write copy for certain illustrated sporting plates created by illustrator Robert Seymour. 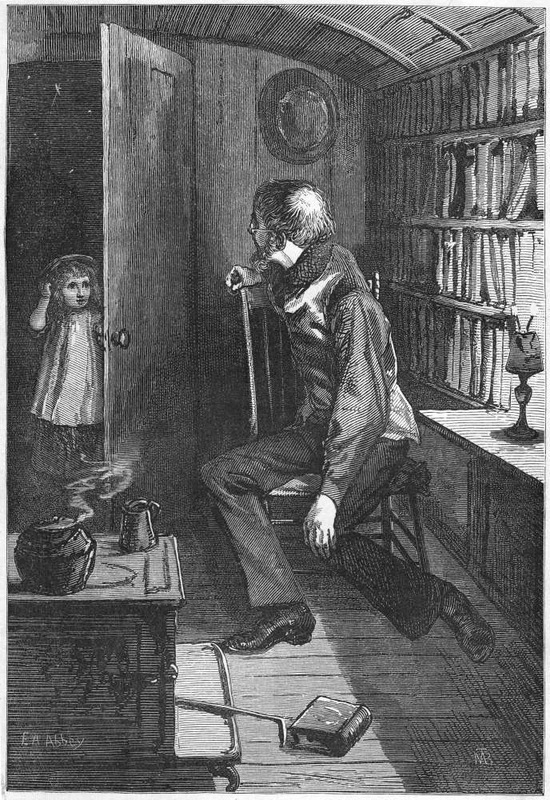 Dickens soon began to write the instalments before the plates were produced, therefore changing the illustrative focus of the project to storytelling and he never looked back. We all know of his illustrious writing career following The Pickwick Papers and I still have to read quite a few Dickens’ novels yet, as I’ve only completed The Life and Adventures of Martin Chuzzlewit, A Tale of Two Cities, Dombey and Son, A Christmas Carol, David Copperfield, and, a long time ago, The Mystery of Edwin Drood. So many great novels of his still to go. Perhaps a project for 2018 ……??? 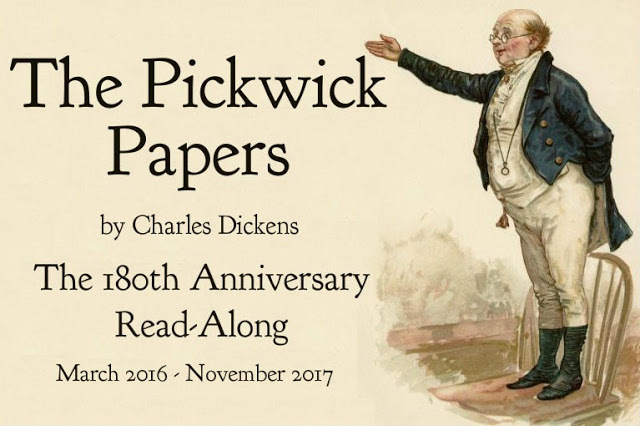 So, if this read-along appeals to you, grab your Pickwick Papers and join us for a realistic reading experience! And so we are introduced to Doctor Marigold, bestowed with such an unusual first name for a Cheap Jack in honour of the doctor who delivered him. I did not imagine him in the appearance of the rather dandified peasant-gypsy looking gentleman on the cover to the left, but I suppose that’s beside the point. In any case, Doctor Marigold, as you know, is a Cheap Jack. For those who don’t know what a Cheap Jack is (I raise my hand), it’s a hawker who deals in bargain merchandise, anything from plates to frying pans to razors to watches to rolling pins and everything in between. Marigold has followed his father’s trade like a good son. Soon Marigold marries a woman who is not a bad wife by his estimation, but whoa, does she have a temper! She berates and torments her husband, and later beats their daughter, Sophy, while Marigold stands and watches. Why doesn’t he intervene? Because it causes more of a ruckus than observing, and then people suspect that he is beating his wife. Wimp. Sophy grows up especially attached to her father and fearful of her mother — no kidding. 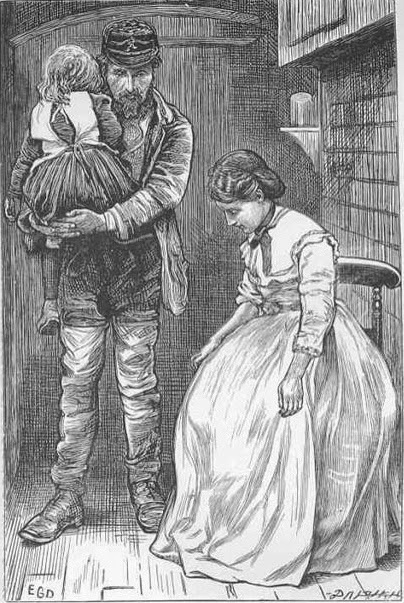 Yet with their vagrant lifestyle, she becomes ill and passes away. One fateful day, the now childless couple come across a mother beating her tearfully pleading daughter, and with a shrill scream his wife tears away and drowns herself in the river. Good riddance. Lonely Marigold now roams the country alone, until one day he comes across a deaf and dumb child whom he purchases and calls Sophy. They are devoted to each other for years, until, when she reaches sixteen, he decides to have her educated and puts her in an institution for two years. When he returns she is thrilled to see him, but as they resume their lives, he learns that she has acquired a suitor. Old generous Marigold decides he cannot stand in the way of their love —- although Sophy is willing to give it up to stay with her father —- and allows them to marry. The couple then move to China and five or so years later return with Marigold’s granddaughter for a reunion. This short story, so far is my least favourite of my Deal Me In Challenges. We’ll see what next week brings. 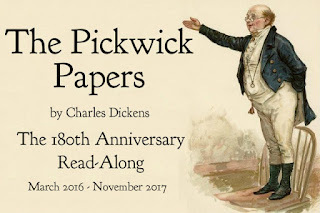 Dickens was an author who had not appealed to me in my teens so, in an effort to expand my horizons, I began to follow a book group that was reading through his works chronologically. 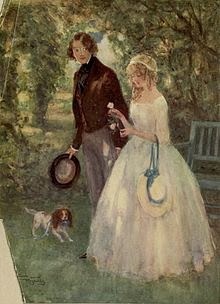 Since joining them, I have been able to read Martin Chuzzlewit, Dombey and Son, and my most recent read, David Copperfield. 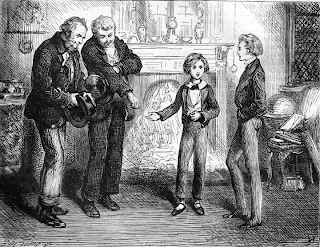 Fatherless, David Copperfield lives with his mother and their spunky and loveable servant, Peggotty, in quiet and amiable bliss. When his mother decides to remarry to an irascible man named Murdstone, David’s life begins an upheaval that catapults him through a variety of circumstances, both beneficial and tragic, each of his decisions mirroring his persistence, bravery, suffering and loyalty, working together to build a quiet character of strength and reliability. 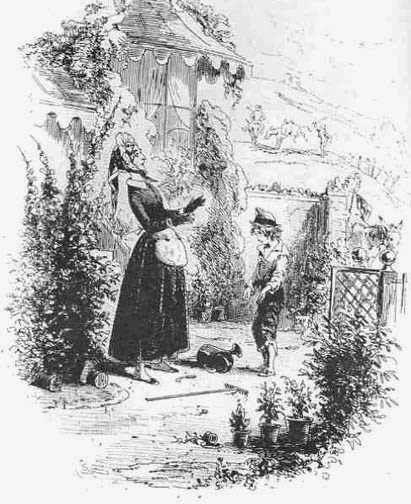 Betsy Trotwood, David’s aunt, appears to abandon him and his mother at the beginning of the story, yet when David needs her, she becomes a stabilizing force in his life and an excellent example with her dry wit and generous heart. Peggotty, his nurse, sees David as her own and often assists him in his endeavours; a cherished substitute mother. Mr. Peggotty, her brother, shows unwavering devotion and heart-wrenching unconditional love to his niece, Emily, after her flight with David’s nefarious schoolfriend, Steerforth, and her obvious ruin. 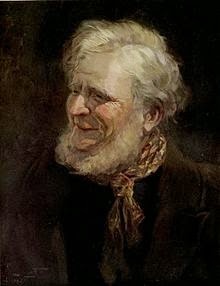 Mr. Micawber, a shady, bumbling fellow, appears like an odiferous fragrance throughout David’s life, and while good intentioned, only causes trouble whenever he appears; however he ends up helping to bring about a positive resolution to a quite dire circumstance at the end of the book. 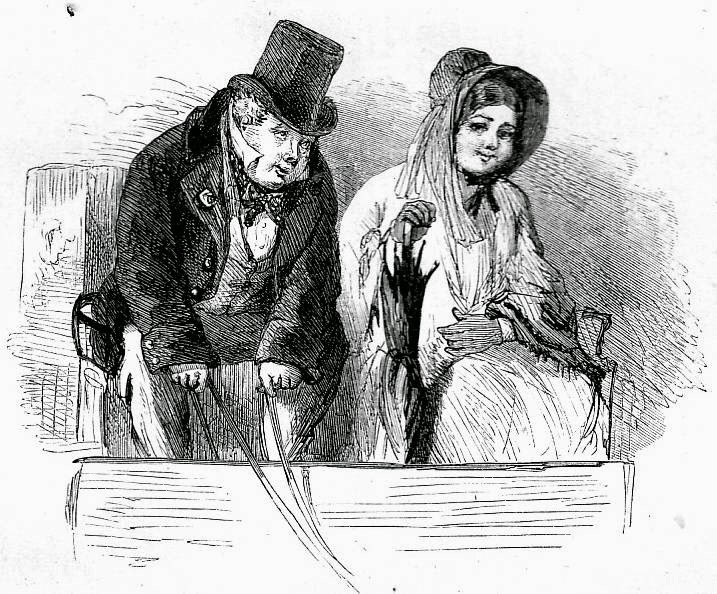 Even Dickens’ other female characters were likeable. In many of his novels he recurrently treats the feminine nature as sacchrine, helpless and perfect. It can get very annoying. Yet while Dora is all of these things, somehow Dickens makes her real; this time the characterization is for a purpose and works well within the story. I loved Dora, as well. Dickens appears to emphasis the idea of constancy and the value of tradition. 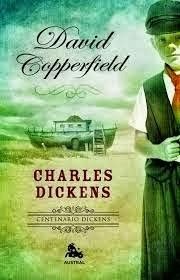 Copperfield’s childhood home is revisited at a few points in the novel, and his aunt Trotwood, while losing her home when her money is treacherously stolen, regains it again at the conclusion of the story. Loyalty to his friends is paramount for David, and he ensures he maintains lasting relationships with most of them throughout his lifetime. He sees good in everyone, from his child-wife who is clinging and rather dim, to his admired school chum who, while he plummets in David’s esteem after seducing Emily, is still regarded with compassion by David. There is a lasting emphasis on family, familiar houses from his past and the desire to remain close to the people, place and things that have made him who he is. David’s Aunt Trotwood wisely states: “We must meet reverses boldly, and not suffer them to frighten us, my dear. We must learn to act the play out. We must live misfortune down, Trot!” and throughout the book her words are played out in David’s actions as he perseveres through misfortune, scandal and tragedy to become a devoted husband, a friend of whom anyone would be proud, and a successful writer in his own right. Claimed to be autobiographical in nature, the novel was clearly dear to Dickens, his words reflecting his affection for it: ” …. like many fond parents, I have in my heart of hearts a favourite child. And his name is David Copperfield.” A truly wonderful read!